Design-wise, the Motorola Moto G5S and Moto G5S Plus are reportedly the same phones as the Moto G5 and Moto G5 Plus with one major change. The Moto G5S and Moto G5S Plus both have an aluminum body, while the "S-less" models both use plastic in their builds with an aluminum back. Today, rumored pricing for the unannounced metal-clad versions was the subject of a tweet from tipster Roland Quandt. According to Quandt, the Moto G5S will be priced at 300 Euro, while the Moto G5S Plus will carry a 10% premium at 330 Euro. Translated into USD based on the current exchange rate, that works out to $353 USD and $388 USD respectively. Let's refresh your memory on some of the specs, shall we? This is where the Moto G5S and Moto G5S Plus are expected to differ from the already launched Moto G5 and Moto G5 Plus. 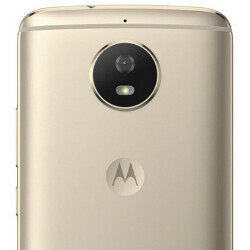 The Moto G5S is expected to come with a 5.2-inch display carrying a resolution of 1080 x 1920. Under the hood is the Snapdragon 625 chipset containing an octa-core CPU, and the Adreno 506 GPU. Expect outstanding battery life with this model thanks to the energy sipping SoC. 4GB of RAM is inside along with 32GB of native storage. The Moto G5S Plus should be equipped with a 5.5-inch screen, also featuring a 1080 x 1920 resolution. The model will come with a rear-facing dual-camera setup (both cameras weighing in at 13MP), and an 8MP front-facing camera. According to Quandt, this phone could be powered by the Snapdragon 630 or Snapdragon 660 SoC. Motorola has started introducing its latest handsets and last week the flagship Motorola Moto Z2 Force was unveiled. So we would expect to see the Moto G5S and Moto G5S Plus announced very soon. I only buy 5.5" screens. Metal cases are not important to me. Moto mods do not appeal to me at all. This is why I am waiting on the Moto G5S Plus. I just shipped my Moto G4 Plus back to Moto after my third one also had the Ghost Touch problem. It was so when Motorola was making the Moto X, G, E and the Droids. Now they're making too many phones and they won't be able to keep up with updates.